I’ve picked a weekend, February 13 and 14, 2010 for the firt Justquiltin Weekend. It also coincides with The Quilting Posts’s “PJ Party Weekend,” one weekend a month some of us set aside to do some serious quilting so I hope there will be many quilters out there stitchin on this in February. Please read the boring main Justquiltin Weekend Page for the copyright info. I think I have pulled most of the fabrics I plan to use for this project and it is definitely stash friendly since many of the fabrics need little yardage. Click on the titles below to get those specific pages for download. 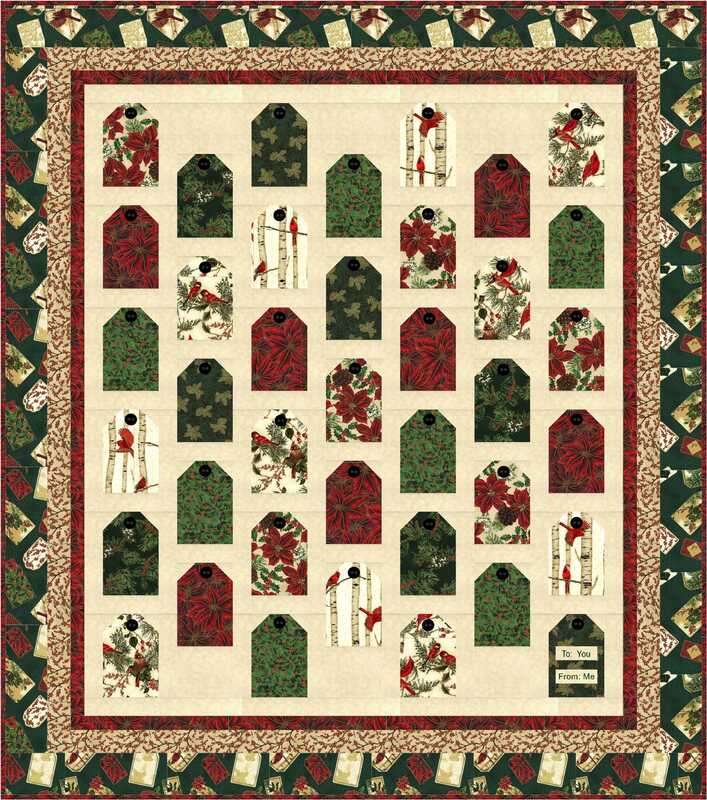 The cover page showing the quilt and the yardage chart have been added. Next weekend, February 6, I will add the cutting chart to this page so you can precut everything and be ready to start stitchin when the instructions are posted February 13 and 14. So get the chores done ahead of time, figure out some quicky meals for the family if you must (or hand them the take out/delivery menus) so you can make the most of your quilting time. 🙂 But most of all I hope you’ll have fun making this quilt and share your progress. 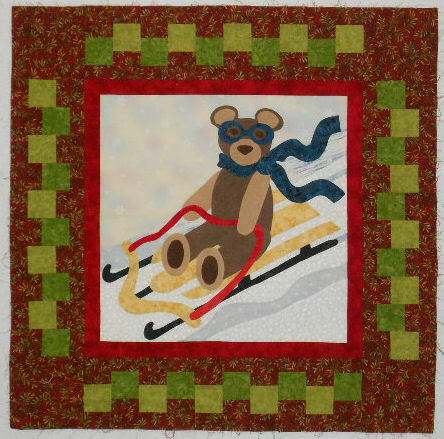 If you make this quilt, please email me a photo to share on my blog. Denise que lindo este projeto! Parabéns! Thank you, Denise, for sharing such terrifc designs — I just love Tracking Bear…and wouldn’t you know it? I have bear paw blocks from a swap years ago just waiting to be put into this design!! Another UFO bites the dust…. Great way to use up those swap blocks. 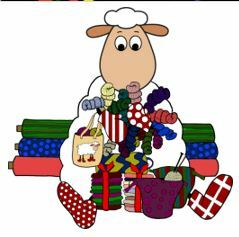 Wow – and thank you Denise – what a lovely quilt design. I just found your website and have been exploring the bits and peices. 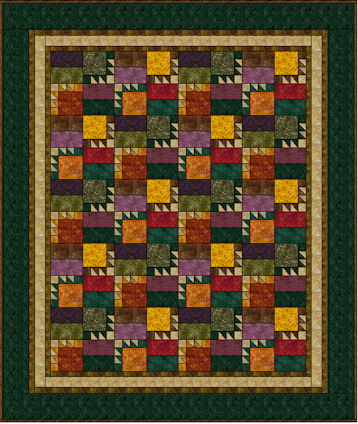 I enjoy EQ too, and it is wonderful to see how other folks use it to make such pretty designs. Thank you for sharing your design and the instructions! Thanks Donna! EQ makes so many things possible and makes it easy to share. LOL, now this is the third time I have printed these instructions out…and waiting for part 1 to be posted. You are doing a great job and thank you for this series.